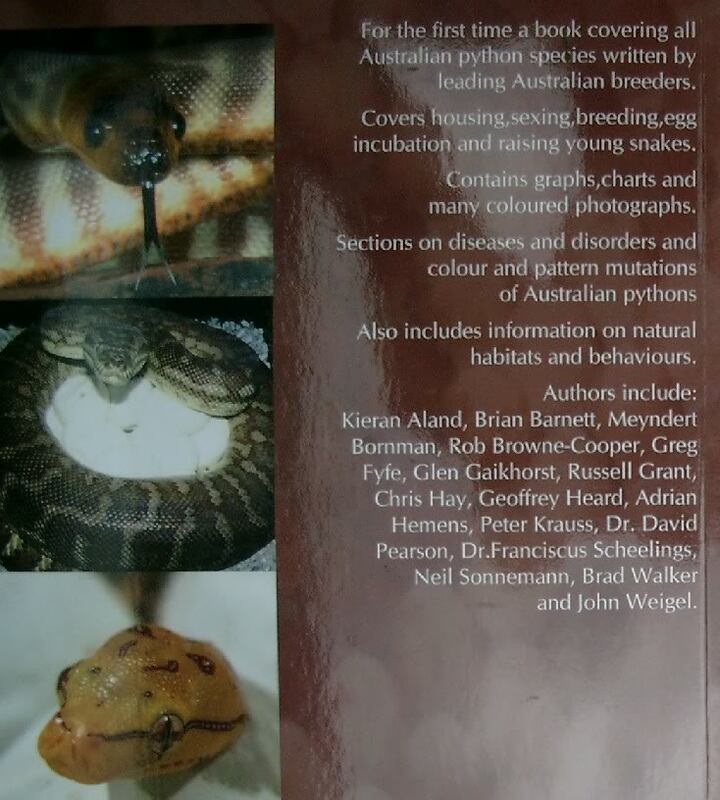 For the first time a book (Keeping and Breeding Australian Pythons) covering all Australian python species written by leading Australian breeders. 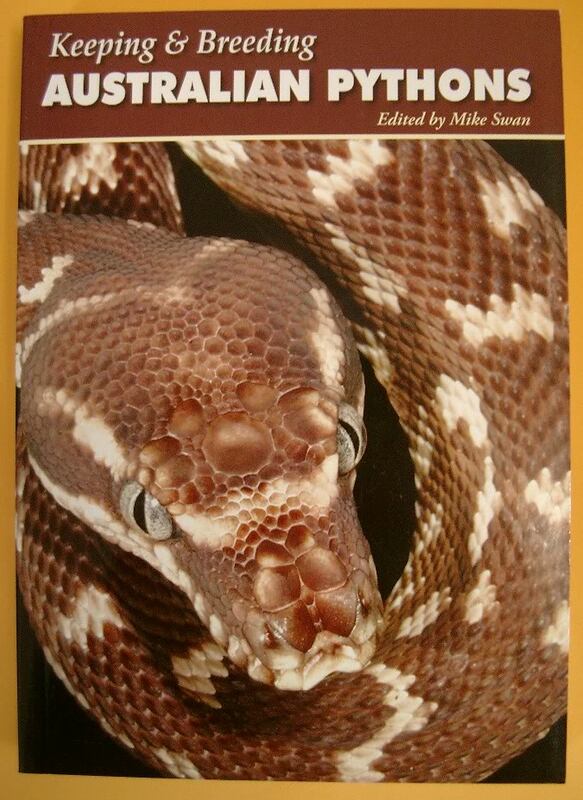 Covers housing, sexing, breeding, egg incubation and raising young snakes. Contains graphs, charts and many coloured photographs. Also includes information on natural habitats and behaviours.